This Valentine’s day is not just a day of lovers, but, it is also the day of football lovers. This Valentine’s day, there are huge battles to be fought between big football clubs. There is Chelsea vs Barcelona, Liverpool vs FC Porto, Real Madrid vs PSG and Juventus vs Spurs. All these grandiose football matches are to be played at 1:15 am on February 15 with match previews commencing prior to the midnight. But now, we will be just talking about Spurs vs Juventus and PSG vs Real Madrid. PSG is literally on fire right now and has hardly played a match in which they didn’t score or ended up goalless. However, when we talk about Real Madrid, they haven’t done well at all in their last matches whether big teams, small teams, mid-table teams, second-tier or third-tier teams except for Real Sociedad. They thrashed Real Sociedad by a 5-2 victory with Cristiano scoring a hat-trick. So, it is irrefutable that against any kind of team, Real Madrid would concede a goal. 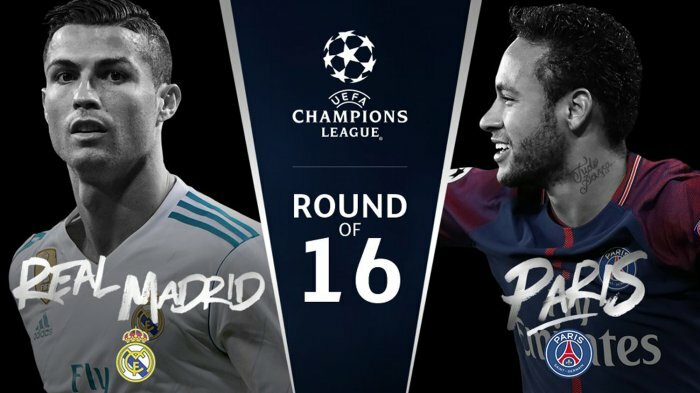 So, if any random team can score at the Santiago Bernabeu, then wouldn’t PSG, with their exciting front three and their good form, be able to the same? Looking at what has happened so far this season, there’s almost no chance of PSG failing to score at the Bernabeu. A goalless draw is what Real Madrid needs right now. Even if it sounds stupid, what Real Madrid need right now is to park the bus. Real Madrid gravely needs Simeone. They need their coach to send his team out, park the bus and not concede any goals. They need someone who blatantly sends his team out and park the bus and play no football and who can count on the home support’s understanding of this. They need someone who can wave his arms around and conduct the stadium when the team needs it. If Real Madrid could hire Simeone for the 90 minutes of this Wednesday, it would be perfect, albeit, Zidane’s ideas are fine for the return leg. Tottenham will be travelling to Italy as they take on the Italian Giants, Juventus on February 15 at 1:15 am. With Spurs boosted by a north-London derby victory over Arsenal at Wembley over the weekend. Juventus on the other hand, have been playing with no mercy and foolhardiness. However, that should not be a quandary for Tottenham Hotspur, who soundly aced the group consisting of big teams like Real Madrid and Borussia Dortmund, that too beating both the teams. Juventus are expected to be without a number of key players for the visit of Spurs with Paulo Dybala, Juan Cuadrado and Blaise Matuidi among those carrying injuries. Toby Alderweireld will be benched in the game against Juventus as he recovers to full fitness, so will Kyle Walker-Peters. Therefore, the encounter between Juventus and Tottenham Hotspur is precisely a showdown between Europe’s best strike-force and its best defence – the unstoppable force meeting the immovable object. That does suggest that they will cancel each other out, but, knock-out matches can really flabbergast you with the results. They are not predictable.